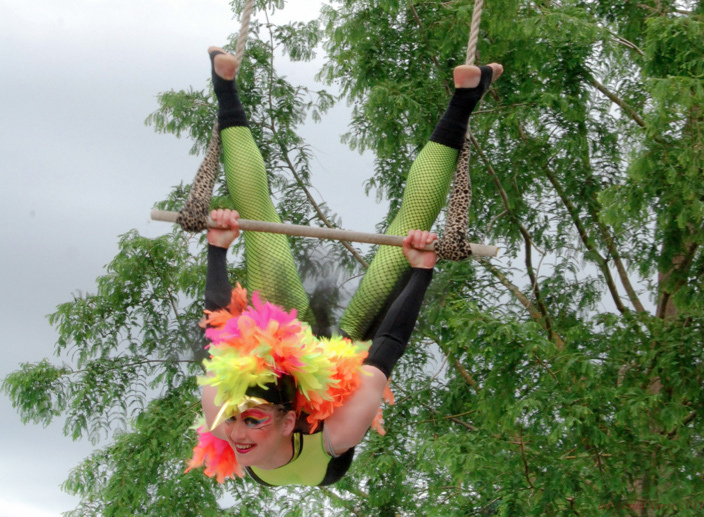 Versatile Arts loves giving back to the community, and we love animals, so what better event for us to participate in than the annual Woodland Park Zoo fundraiser? Each year we take a group of 20-25 students and instructors to the zoo to entertain the donors as they arrive for the Jungle Party auction. 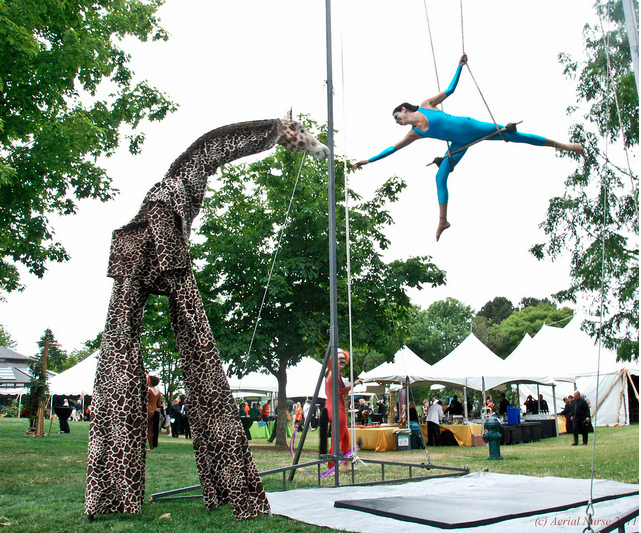 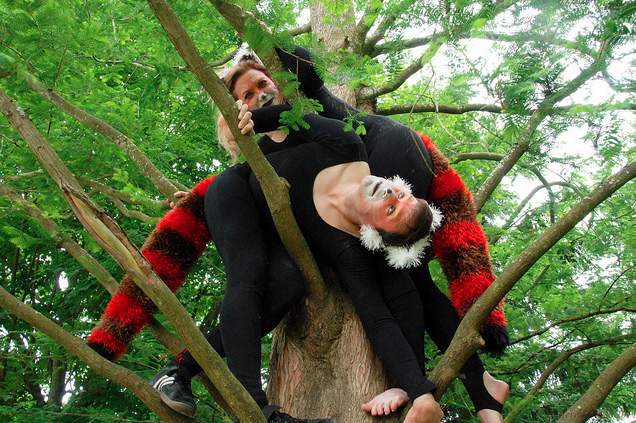 The 2011 theme was “Animal All-Stars,” which included everything from tree frogs to toucans to gorillas – and a giraffe on stilts!